Sometimes you wouldn't be satisfied with the life of a merchant or bounty hunter; sometimes you just had to follow Guybrush Threepwood's dream of becoming a pirate. 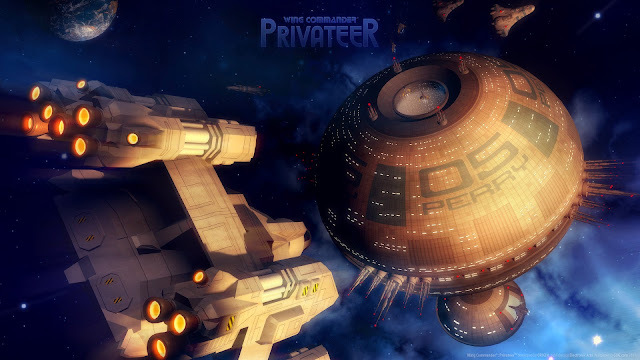 In Wing Commander: Privateer you usually had to seek out old re-purposed mining outposts in the middle of remote asteroid fields if you wanted to find the places pirates called home. This track plays in the background while you're visiting a pirate base. It suits the pirate bases perfectly and you just gotta love the distorted guitar for no reason at 0:24. Thanks to C75 and WCNEWS for providing these memorable tracks.